• Auto rewind at a push of a button retracts the webbing, leaving the unit neat and tidy. 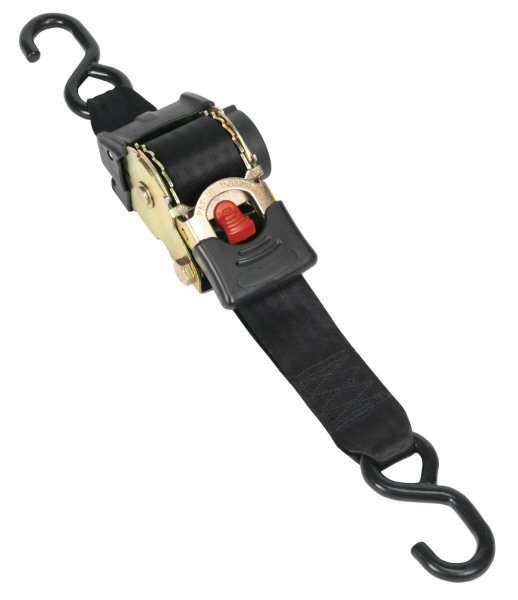 • Simple drum and ratchet mechanism tensions the webbing to provide superior load restraint. • Suitable for securing of loads and tarpaulins onto flat-beds or trailers. • Handles and release mechanism are rubber coated for added comfort. • Auto rewind feature at a push of a button retracts the webbing, leaving the unit neat and tidy.